Vendors have finally put to rest speculation over this year’s rumored M400 Tortoiseshell Brown by announcing Pelikan’s plans for a September 2016 release. This has been a much anticipated addition to the line-up and I’m certain supplies aren’t likely to last long. While this announcement had been anticipated since the end of last year, Pelikan continues to show that it can still keep a few secrets. In a surprise move, we were also given news of an M205 Blue Marbled fountain pen for release around the same time. This marks the materialization of nearly all of the models that were expected for 2016 though I presume that the company may have one or two more surprises still in store for us before the year ends. Out of respect for the sovereign, I will first detail the Souverän M400 Tortoiseshell Brown. This model follows in the foot steps of several M400 tortoiseshell variants produced since the series introduction in 1982. The last one, the M415 (2009), was released seven years ago. This upcoming model will have a barrel made of cellulose acetate in a brown striped pattern with orange accents, much like the finish on the M800 Tortoiseshell Brown (2013). I expect the barrel to be transparent to allow for an assessment of the remaining ink level. The cap, section, and piston knob will be derived from a high quality resin in dark brown and the furniture will be 24K gold-plated. Pelikan’s traditional beak clip will feature prominently on the cap. There are two trim rings at the piston knob, two cap bands, and a trim ring on the section. The cap top is 24K gold-plated and depicts the single chick company logo. The nib is the standard two toned 14C-585 gold available in sizes EF, F, M, and B as well as an Italic Broad, a size previously only reserved for the M800. Of course, the pen will feature Pelikan’s world famous piston mechanism. 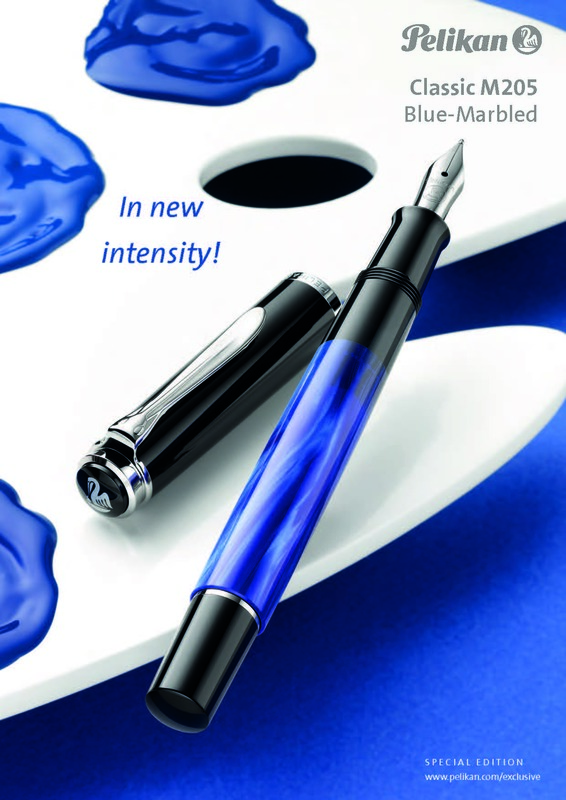 This model will be available in Pelikan’s higher end G15 gift boxes. From what I have seen of pre-release prices, you can expect to pay $271-300 for the fountain pen when shopping from vendors abroad. There will also be a rollerball and a ballpoint available in a matching finish. Quantities will be limited for this release as it is a special edition though the exact number to be made is unknown. The more surprising of the two announcements today is the M205 Blue Marbled which is anticipated to be released alongside the M400 Tortoiseshell Brown. 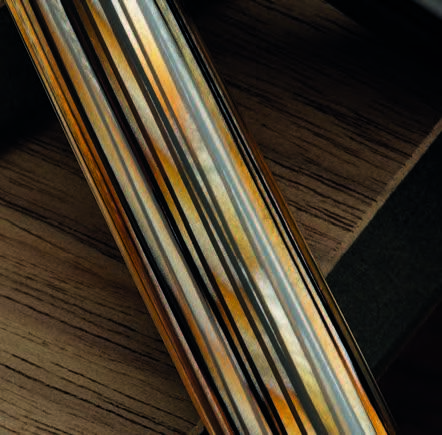 This is the first M205 to come in a marbled finish though the M2xx line-up is no stranger to this type of texture. The barrel of this model will have a rich, deep blue color with a marbled pattern similar in luster and shine as the recent M20o Green Marbled release (2015). Like other releases in the series, the cap, section, and piston knob will be made from a black resin. There is a single trim ring at the piston knob and the section is devoid of any ornamentation. The cap has a single cap band with the inscription, “Pelikan Germany.” The cap top depicts a painted, single chick logo and the standard pelican’s beak clip is again included here. The furniture on this model is chromium plated and the nib is unplated stainless steel available in sizes EF, F, M, and B. There will be a dark grey ink view window present just adjacent to the section. A matching ballpoint with a push button mechanism will also be available. Street pricing will likely be in the neighborhood of $115-120 for the fountain pen with the ballpoint priced slightly cheaper. The presentation will be complimented by Pelikan’s standard G5 gift packaging. Pelikan’s literature indicates that these will be a part of their standard range rather than a special edition. That is all we know at present about these two great releases. I believe the Tortoiseshell Brown will be met with great fan fare as anticipation has been building for some time. This may be the model to get for those who missed out on the M800 release in 2013. Alternatively, this finish would nicely compliment any collection that already includes the larger variant. The M205 Blue Marbled is more of a surprise but a welcome one. It’s nice to see that Pelikan is keeping the M205 line alive. The Blue Marbled model will follow directly on the heels of the Aquamarine due out later this month. What are your thoughts on these two releases? Are you going to be picking one or both of these up? Please share your thoughts below. I didn’t even have to think once before pulling the trigger on this one. I missed the M800 Tortoiseshell so I’ve been impatiently waiting for this announcement. 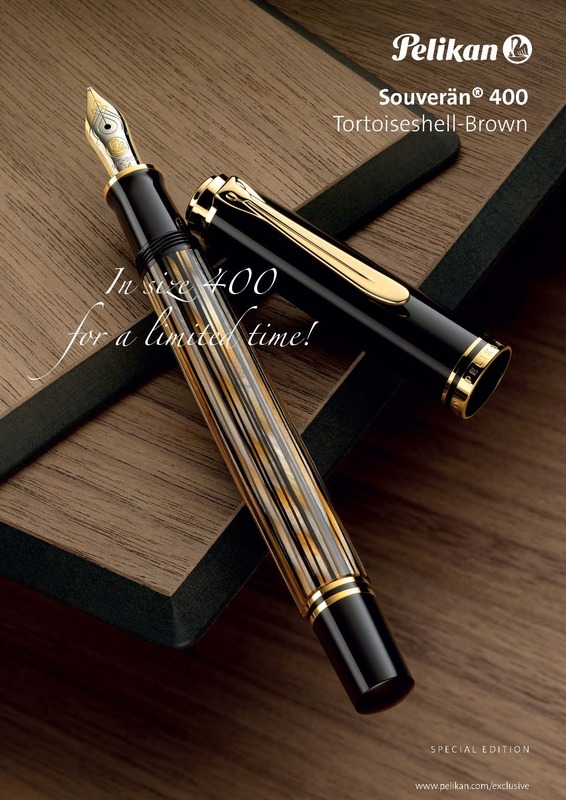 I love a blue pen, but there’s something about the tortoiseshell brown that is so elegant. I ordered this one in a fine nib which should be just right for my writing size. And if my wallet wasn’t beat enough, I also threw in the M205 Aquamarine in broad for good measure. Although the Blue Marbled looks extremely nice as well. Where do you purchase this from? I cannot find any online. Thanks! I have not yet seen this announced from any US dealers but that does not mean it won’t come to the US. Some of the overseas dealers that have given notice are Appelboom, PenWorld, Novelli, Casa Della Stilographica, and La Courronne du Comte to name just a few. All are reputable dealers. I expect other vendors will update listings and open for pre-orders in the coming days. I ordered both pens from La Courronne du Comte. I’ve been very pleased with the quality of service from them for the last couple of pens I’ve bought. Congrats! Sounds like two nice pens will be heading your way soon. Bummer! I am probably as big a fan of Pelikan tortoise finished pens as anyone but I don’t need another 400 version: what I NEED is an M600 version. When that unit pops up I am likely to be among the pre-order troupe. Normally when something new bursts upon the scene I wait for the hysteria to die down and look for a decent price, but I would kick myself if I missed out on a LE 600 Tortoise just to save a few bucks. For now I will pass on the 400 version and hope that Hanover wakes up to this glaring omission. I agree with you there. I’m trying to convince myself that this M400 Tortoise will be the ultimate pen, but if they release an M600 tortoise I will have to dive in with both feet again. 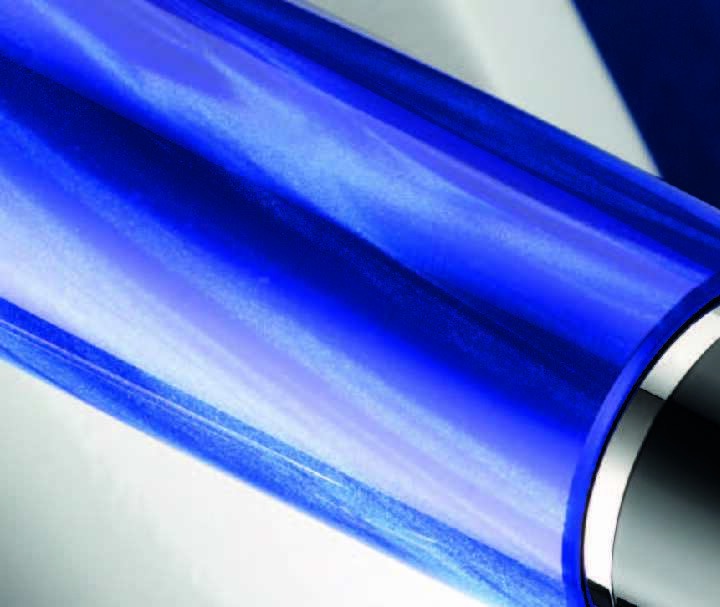 The M800 seems to get most of the attention from Pelikan with new finishes these days. Haven’t seen as much with the M400 but I know that model clocks in a bit small for a lot of people. It’s been 3 years since the M800 came out in this same finish. Perhaps we can hope for an M600 three years from now. Would love to see them come up with a matching trio though, like they did with the solid blue finish circa 2003. You mention the cost abroad. Will it not be available in th US? I don’t know any overseas dealers. Both pens are gorgeous, but I have a weakness for Brown Tortoises and have already pre-ordered mine with a IB nib (and another one, with a F nib, for the wife). It is interesting to see that many sellers are offering an Italic Broad nib for the M400. Could it be that Pelikan decided to start offering some specialty nibs with SE pens? I would love to see some obliques in the M800 range (one can always dream…). Thanks for breaking the news. They offered the IB with an M800 previously and an I for the M200 so the italic nibs have a good precedent. This will be the first italic in the 400 size. Unfortunately, these aren’t very “italic” in nature. Acts more like a very broad stub but lends itself to an awesome custom grind. I didn’t know that this would be the first time they offer italic for the M400’s (I guess I went too fast through your article 🙂 ). Now I’m even happier that I pre-ordered mine in IB. I got one of those IB for the M800 and, even if it is not a true italic, I really like the way it writes. So, I’m looking forward to get my hands on the M400 with one of those nibs. Its the nib that I would have gone after myself but I have two M800 IBs and one M200 I. My writing is really too small to get along with an IB on a regular basis so I had to pass on this one. Enjoy your new IB though. I bought that very same brown tortoise M400 from Rick Propas a few years ago, (maybe 7-8). It came with a matching ball point pen. My recollection is that it was a limited edition for a store in Europe or something like that. It is one of my favorite Pelikans. And isn’t that M205 the very same one that was a limited edition for Fahrney’s a while back? You are correct that there was a very similarly styled M400 released for Galeria Kaufhof department stores and available circa 2004. This tortoise will likely have a bit more of an orange hue to the barrel whereas those older tortoises had more brown. As for the M205, it is not the same as the one released by Fahrney’s. I believe that you’re thinking of the Neptune Blue? That barrel is more like the older M800 Blue O’Blue. This is more like the older blue marbled M200s except with chromium plated trim and a deeper, more lustrous appearing barrel. Thanks for the comment Joshua. Yes, the one I have was the Galeria Kaufhof edition, and you are correct that it leans to the browns and creams with little orange hue. Today I got my M400 Tortoiseshell Brown Pelikan fountain pen with an IB nib. During the time I like to prefer broader nibs to write with, it gives an additional freedom to write. It brings more elegance so you are pushed to slow down writing. It is a wonderful example, waiting for that was it worth. Usually I like to write with larger fountain pens (eg. M805), but this size fits as well. Good choice of Pelikan to bring this beautiful fountain in a smaller size.